In this world of onrushing events the act of meditation—even just a "one-breath" meditation—straightening the back, clearing the mind for a moment—is a refreshing island in the stream... Meditation is not just a rest or retreat from the turmoil of the stream or the impurity of the world. It is a way of being the stream, so that one can be at home in both the white water and the eddies. 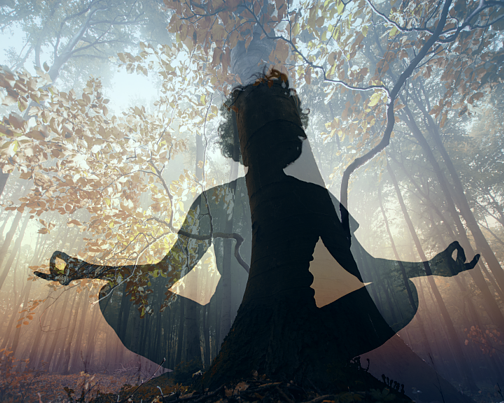 Meditation may take one out of the world, but it also puts one totally into it. Saying yes... Joseph Campbell's view... Basically, the world is a mess and has always been thus. Be accepting. "Go happily in the sorrows of the world."